Today IronCAD released the 2013 version of their Design Collaboration Suite comprising of IRONCAD, INOVATE, IRONCAD DRAFT and IRONCAD TRANS and IRONCAD COMPOSE. IRONCAD COMPOSE is the new addition to the suite (see “Free Product Configuration With IRONCAD COMPOSE“). An exhaustive list of what’s new in IronCAD DCS 2013 can be found here. Here are some of the new features I found interesting. You can now enter a mathematical formula in the edit fields of IntelliShape and TriBall handles. A new Outside Cut option has been added to the Extrude Feature. This is particularly useful when you quickly want to remove everything outside a closed sketch outline. A new option has been added to the Extrude command to quickly create solid feature by extruding a set of curves and giving them thickness. Direct Face Modeling operations for Structured Parts now support offset, delete and match face operations. Check out this video to see how easy it is to easily modify geometry when most of the design is already done. This is direct modeling at its very best. Importing external CAD data can often leave you with loose or missing faces. The new Sew command can be used to stitch these faces to create a watertight solid body. A new option has been added to the Direct Face Modification tool to maintain tangent control of faces as they are moved. 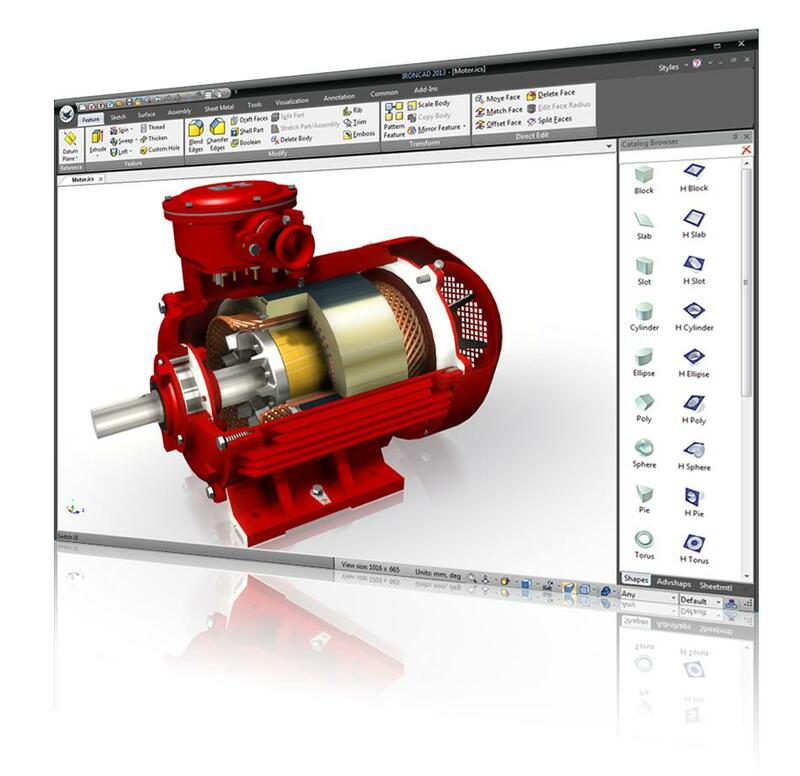 It’s truly refreshing to see a CAD software vendor continue to enhance the 3D modeling capabilities of its products. You can download a full featured 30 day trial of IronCAD Design Collaboration Suite from here.